At Chartwells, our school meal portion sizes are carefully measured out to ensure we meet the government school food standards to provide children with the nutrients and energy they require for optimal growth and development. These food based standards set out their own recommended portion sizes for all five of the different food groups that were included in the original Eatwell Plate, now called the Eatwell Guide. Both over and undereating can have negative health effects in growing children; with overeating leading to obesity and related diseases, and undereating preventing proper development. Because of this, we carefully manage our portion sizes; providing our kitchen units with specific utensils that enable our staff to serve the correct sized portion with ease and avoiding over or under serving. 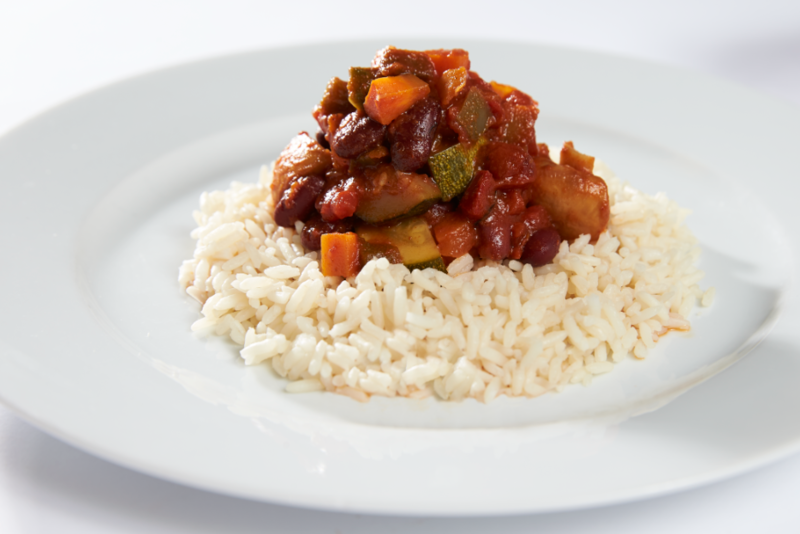 Every Chartwells meal contains a hot main dish with a source of protein, a carbohydrate accompaniment and at least two vegetables. Milk, fresh fruit and yoghurt are served everyday as well as a dessert option. The government school food standards state a portion weight range for different food types within each food group, these fit the dietary requirements for ages 4-11, suiting the needs for both KS1 and KS2 pupils. The extra fruit and yoghurt available every day is a great option for children to fill up with if they are still hungry; because although the government standards are carefully calculated to meet requirements, we also understand that individual appetites can differ. For more information on nutrition click here.